A solvent is by definition a substance that dissolves another to form a solution. In cosmetic formulation, no matter commercial or DIY, solvents are of vital importance. Not only do they need to dissolve powdered ingredients and generate a stable, homogeneous solution, but they also have to be gentle on the skin and if possible, beneficial. Propanediol (1,3-Propanediol) is an organic compound with the formula CH2(CH2OH)2 . 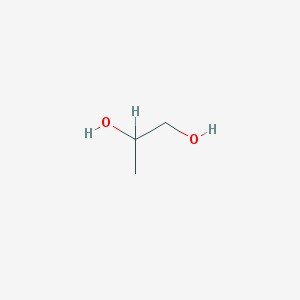 With two hydroxyl groups (OH-), propanediol is a diol, which is basically a chemical compound that manifests both properties of a simple alcohol (a chemical compound with one OH group) and triol (a chemical compound that has three OH groups). This means that Propanediol has solvent (dissolves and homogenizes), emulsifier (mediates emulsification of heterogeneous compounds), stabilizer (fixes the solution), preservative and antiseptic (prevents the bacterial growth and solution decay) properties, just like an alcohol, However,due to its extra OH group it is milder on the skin and has enhanced moisturizing and humectant properties. Due to its chemical formula, propanediol (which is the natural alternative to propylene glycol) is milder than a simple alcohol, yet more effective than glycerol . An eco-certified Propanediol, called Zemea TM is now available for DIY cosmetic. It is a highly pure glycol obtained by sustainable, renewable and ecological corn sugar fermentation process. Propanediol is the perfect solvent solution in cosmetic preparation where it successfully replaces industrial products such as propylene glycol (propane-1,2-diol, 1,2 Propanediol), butylene glycol and other petroleum-based ingredients. Besides being a potent, natural and skin-friendly solvent Propanediol is also an excellent emollient, emulsifier and humectant. Propanediol is the natural alternative to propylene glycol (1,2-Propanediol), a synthetic chemical ingredient widely used as a solvent in industrial products and in commercial cosmetic products. According to its product sheet  and safety data sheet  Propanediol is 100% made of all natural corn sugar, without any preservatives or other ingredients, non-toxic, non-irritating, , non-sensitizing, non-mutagenic, non-carcinogenic and environmentally-safe. In vivo and in vitro studies assessing Propanediol’s properties revealed very low toxicity and high compatibility with live tissues. Furthermore, Propanediol has no cumulative effects and it’s safely metabolized by live cells. 1,3-Propanediol is not mutagenic in bacterial or mammalian cells. Clinical research based on Propanediol patch tests repeatedly applied on 100 and respectively 200 volunteers showed that Propanediol is not irritating, sensitizing or fatiguing to the skin. Propanediol was well tolerated at up to 75% concentration with no obvious effects such as erythema or redness, even with repetitive applications . ZemeaTM Propanediol was not a dermal irritant or sensitizer at test concentrations as high as 75% in a 207-person human skin patch test [4,5]. Besides being well tolerated by the skin, Propanediol packs potent antibacterial and antifungal properties. Sudies showed Propanediol to be effective against Malassezia globose, a microorganism associated with human dandruff and to also enhance bioavailability for the other active ingredients . The study showed that Propanediol (ZemeaTM) enhances the efficacy of the active ingredients in anti-dandruff shampoo formulation such as zinc pyrithione, and induces the mortality of 90% of harmful bacteria population at a concentration of only 4% . Studies assessing the moisturizing efficiency of Propanediol against other chemical solvents in skin care ointments showed that the natural solvent is superior both in objective measurements and participant’s feedback. Another blind-test ranked the Propanediol based formulation as the top one concerning sensory attributes and use characteristics . Propanediol efficiency and behavior was modeled using “Formulating For Efficacy” software, the state of the art tool that analyzes the way ingredients interact in a formulation and are delivered to the skin. The software is focused on formulation composition and skin delivery efficiency using the Hansen Solubility Parameters (dispersion, polar and hydrogen bonding: D-P-H) to assess solubility. Propanediol showed results superior to other solvents in the cases of allantoin, ferulic acid, ascorbic acid, glycolic acid and salicylic acid, extended their delivery time and optimized the formulation design for the modelled preparations . Propanediol (1,3-Propanediol, ZemeaTM) is the natural repacememt of propylene glycol (1,2 propanediol), a chemical compound extensively used in industrial and chemical applications including cosmetic preparations. While both Propanediol and propylene glycol share the same chemical formula which means that they have common physical and chemical properties, they have different molecules and implicitly different behaviors in certain situations. 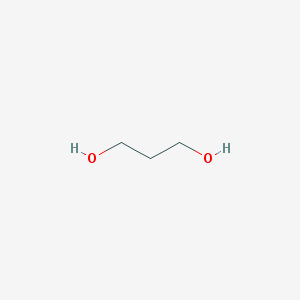 Propylene glycol is frequently used in cosmetic preparations as solvent, preservative and emulsifier. The product safety assessment for propylene glycol indicates that repeated exposure of skin may cause softening and flaking of the stratum corneum . The safety assessment of propylene glycol states that the substance is safe to use in cosmetic formulations but there is concern regarding skin irritation . While the chemical efficiency of propylene glycol is incontestable its effects on skin have been associated with epidermal sensitization, irritation and contact dermatitis . Patch test surveys focused on assessing patients with existing allergic contact dermatitis reported a 2–4% occurrence of sensitization to Propylene Glycol in the general population . Propylene glycol is also synthetic, not sustainable and not environmental friendly. The question concerning Propanediol and Propylene Glycol is what sets them apart, taking into consideration that they share the same chemical formula. While Propanediol and Propylene Glycol have the same chemical formula CH2(CH2OH)2 or C3H8O2 their molecular structure is different. This means that even though it contains the same number and types of atoms, they have a different arrangement. Because of this difference they are treated as separate chemical compounds, despite sharing the same chemical formula . Furthermore, Propanediol and Propylene Glycol have different physical and chemical properties. One notable difference is that Propanediol is more stable with temperature variation and less flammable: it has a higher boiling point and a 3X higher flash point (inflammable vaporization temperature). Another remarkable difference is the EWG (Environmental Hazard Group) score which is 1 (low hazard) for Propanediol and 3 (moderate hazard) for Propylene Glycol . All the physical and chemical differences between Propanediol and Propylene Glycol are also responsible for their impact on skin. Clinical RIPT (repeat insult patch test) studies showed Propylene Glycol is more likely to cause skin reactions compared with Propanediol. The main responsible factors are the different chemical structure and the extent and nature of exposure. Clinical trials seem to validate the theory that the molecular structure of Propylene Glycol is responsible for the skin irritation, while the more flexible molecule of Propanediol is better tolerated by the skin . Taking all the scientific data in consideration, when choosing between Propanediol and propylene glycol, the logical choice is Propanediol. While a difference in pricing could be argued, due to the small quantities required in preparations the impact on the final product is very small and more importantly, Propanediol comes from a sustainable, environmental friendly source. Not only is Propanediol natural, organic and renewable but it replaces petrochemical solvents in a 1:1 ratio, meaning that the same quantity is sufficient to obtain the same results. Propanediol is effective in any type of cosmetic preparation from solid deodorants, to shampoos, lotions and ointments. While it’s almost impossible to control ingredients in commercial cosmetic products, in DIY the results can be maximized by choosing top quality ingredients, making informed decisions and continuously refining the recipe to reach the perfect product for your skin. Using Propanediol as a solvent comes with multiple advantages: it is gentle on the skin, has emollient and humectant properties, it enhances skin delivery and bioavailability of active ingredients, it comes from natural, sustainable sources and it is environmental friendly. Belcher, L., Muska, C., & DeSalvo, J. (2010). Evaluating 1,3-Propanediol for Potential Skin Effects. Cosmetics&Toiletries, 125(5). Durham, R., & Zahn, J. (2014). Improving dandruff shampoo via biobased propanediol. Personal Care, (September), 77-79.